Forget Fifty Shades of Grey… the real colour of love runs red. For all the true romantics-at-heart, the warm and alluring tones of red are ideal for celebrating l'amour. What’s more, not only are there innumerable shades of red to help you set the mood, its neighbouring pinks and purples on the colour wheel provide additional rich and indulgent tones perfect for celebrating Valentine’s Day. (Use Promac Paints’ ColourSense to pic your favourites). For many, the 14th of February conjures up images of overpopulated restaurants with set menus and substandard service… So this year, what better way to spend it than by creating a cosy night in for two (cue the romantic dinner, Netflix and champagne…)? To make the evening extra special, why not usher in the romance with a few tweaks to your interior decor? Think in terms of your senses to enhance your setting. Soft furnishings and high-quality cotton sheets are excellent tactile elements to add sensuality. And nothing creates the perfect ambience like the correct use of lighting – think candles, fireplace and stringed fairy lights… Fresh flowers, and of course your Master Chef dish in the oven, will provide the needed fragrance and aroma. The eyes can then be gratified by your use of intense, mood-making hues to stir the emotions and round off a dreamy atmosphere. Employing red in your table setting is great, but why not dare to flirt a little more boldly with a scarlet or ruby-coloured accent wall? Not sure? Take a look. This Valentine’s Day, fall in love with Promac Paints. Because true love lasts a lifetime and your favourite paint colour should too. Let Promac Paints colour your world this Valentine’s Day! We’ve officially entered the summer season, so it’s out with the cold and in with blue skies, bright colours and warm weather. Extend the summer holiday vibes into your home and transition from winter neutrals and spring pastels into joyful summer colours and themes. They say change is as good as a holiday, and summer is the perfect time to take a leap and add some boldness to your home. Subdued, wintry neutrals and Scandi monochromes are making way for vivacious violets, popping reds and caerulean blues. 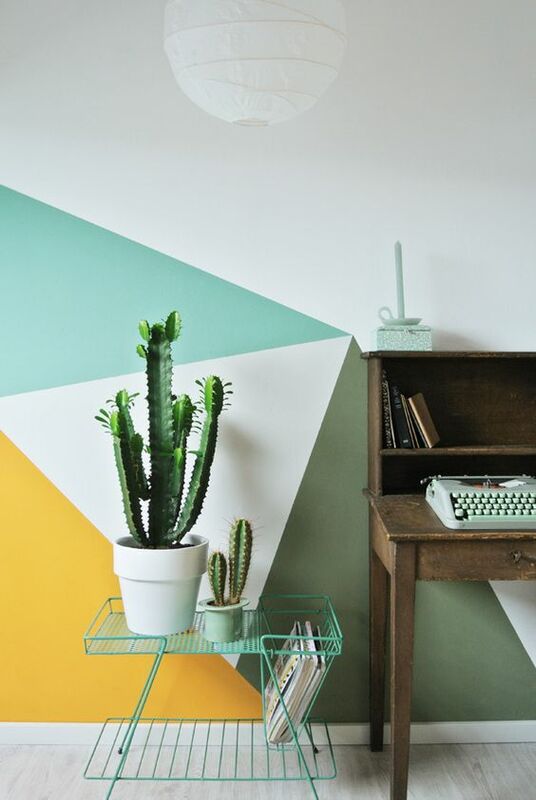 Use Promac Paints’ colour selection tool, or pick out your favourite summer shade at your nearest Promac Paints store and spread some cheer on your walls! Another way to pay homage to the freshness of summer is to invite the great outdoors into your home. Induce the essence of ‘tropical summer holiday’ with indoor foliage, baby palms and hanging air plants, and enjoy the added benefit of their air purifying qualities! Whatever your strategy in terms of sprucing up your home before the family comes over for the holidays, you’ll find and endless supply of inspiration from South Africa’s best-loved season: summer! Movember is well underway, and we’re already noticing a lot of grassy grins, bristle batons and even a few full-bodied handlebars! 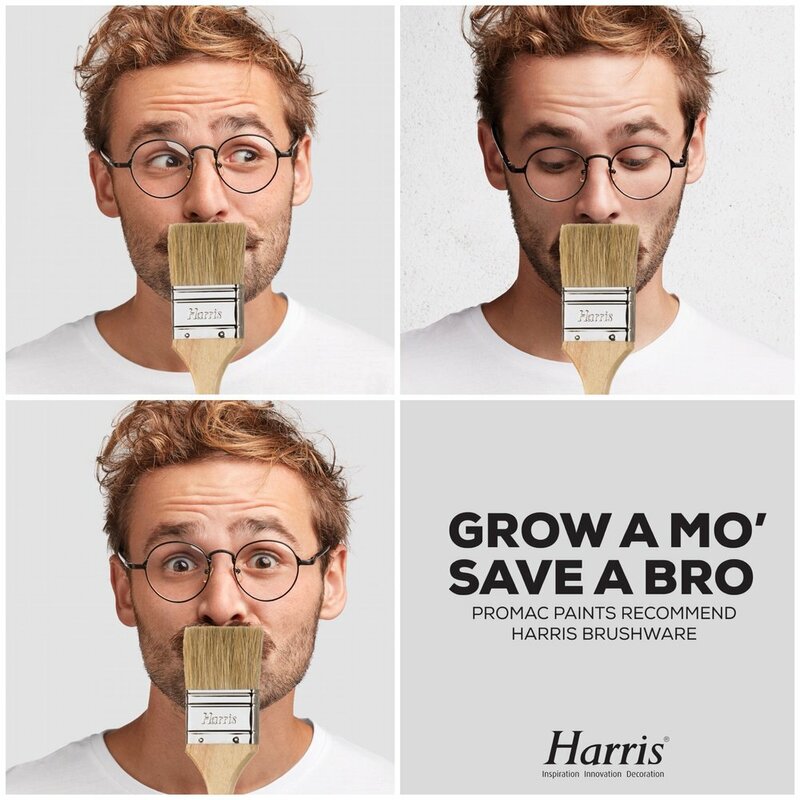 Grow a Mo, save a Bro – it’s the mantra of the Movember campaign to inspire donations, conversations and real change in the area of men’s health. By focusing on prostate cancer, testicular cancer and mental health and suicide prevention amongst men, The Movember Foundation funds ground-breaking projects all over the world. In South Africa, Movember is licenced to The Men’s Foundation, whose aim it is to positively influence the average life expectancy of South African men. Read more about getting involved and making a difference while growing your own crumb catcher. While we’re talking men and bristles, we thought it a good idea to provide our DIY handymen out there with an informative scoop on brushes. Where there’s home DIY, there’s paint, and where there’s paint, there are brushes. Although it’s all-important to take time and test the correct colours for your walls before purchasing litres and litres of paint, you might also want to take a mo-ment to consider the best brush options suitable for the job. There are, in fact, many things to consider when purchasing brushes for home painting projects. From bristle loss rates, paint pickup and spreading ability, to flexibility and shape retention. Harris Africa is a well-known and widely respected manufacturer of brushes and tools to meet to all your brushware requirements. Their extensive range of brushes are highly durable and available in an array of sizes and styles. For advice on which brushes will best suit your specific project, watch this video clip by Harris on how to choose a paintbrush. Handymen with Manometers: If you’re grown-up enough to cultivate lip foliage, you’re old enough to own a quality paint brush set to service your every DIY whim. Have the brushes but need the paint? Visit Promac Paints or find your nearest stockist to sort you out in no time! Accent walls are alive and well in the decorating industry. These easy and stylish color accents will always be popular because of their flexibility. You have unlimited paint options for your accent wall, as well as other surfaces and materials. Even the location of your accent wall is purely personal. Your home is unique, so your accent wall should be just as special. Accent walls can be used in any room if you know the essential do's and don'ts. DON’T shy away from using bold colour for your accent wall. As long as you have the right accents around the room to coordinate with your new colour, you can choose whatever colour makes you happy. DO think outside of the box when you are considering your new accent wall. You are not limited to simple wall paint covering the wall. Think about other ways to use paint colour. Your accent wall may be perfect for stripes or for a specialty paint finish. Metallics are powerful style statements for an accent wall. DON’T forget that there is more to accent walls than just paint. Have you considered stone or tile for your accent wall? Extensive shelving can also work as an accent wall in a room that lacks an architectural feature and lacks storage. Your accent wall can also include a gallery of photos or artwork or even a fabric-draped wall. The secret to accent walls is that they are the most flexible decorating secret weapon you can have. The only rule for accent walls is that they accent a wall. That's it. DO consider an accent wall even if you're keeping your room neutral. Accent walls can work just as well in a neutral colour, as a bright one. The initial idea of an accent wall conjures up visions of bright red or blue, but in a neutral color scheme, a dark brown wall is just as dramatic. DO take into account the colour on your other walls. Most accent walls look best when they adjoin walls in a light to medium shade. Accent walls in an all-white room are stunning but tricky. The contrast of a bright accent wall against white walls can look very modern and even stark. Balance your strong accent wall colour with neutral wall colors on the other walls. Your neutral walls can be grey, or greige, or beige, whatever works best with your accent colour. If you do choose to accent a wall in a white room, soften the contrast with mid-tone accent colours to bridge the difference. DO think about other ways to use an accent wall. Have you considered the ceiling? A chic decorating trend is to add colour to the ceiling. This ceiling colour can be your accent wall. Accent ceilings can be created with soft colours or even vivid colours. White crown molding helps separate the wall colour from the ceiling and creates a stylish look. DO choose the right wall for your accent. Rooms without an architectural feature can benefit from an accent wall, especially one with texture. A wall of windows can also be your accent wall, but be mindful that a dark accent colour surrounding windows can create a bright light effect and overwhelm the room. Don't forget that wallpaper is a gorgeous choice for accent walls. The latest temporary wallpapers can give you a designer look without a long-term commitment. Look for wallpaper with pretty designs and colours for a chic style. For renters, temporary wallpaper is a clever way to personalize your home. October is Breast Cancer Awareness Month, a worldwide yearly campaign driven by thousands of organisations to highlight the importance of breast cancer awareness, education, research and support for those affected by the disease. Breast cancer is the most common type of cancer among South African women: one in 26 will be diagnosed with breast cancer in her life. Knowing the facts can help you stay healthy and detect signs and symptoms early. When detected early, breast cancer has up to 95% chance of successful treatment. For up-to-date information on preventing, detecting and treating breast cancer (including a self-examination how-to), visit the Breast Health Foundation’s website. The colour pink has become a global symbol for the fight against breast cancer, and at Promac Paints we’re celebrating everything pink in support of Breast Cancer Awareness Month! There are countless shades of pretty pinks to help you get your pink on this month. 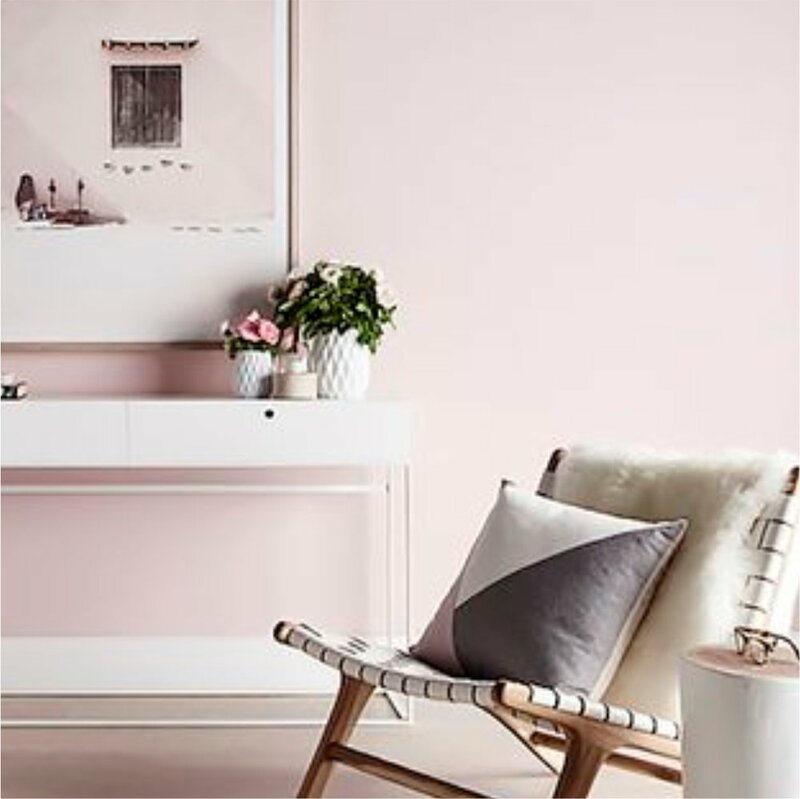 Find your perfect pink with Promac Paints’ #ColourSense colour selection tool. 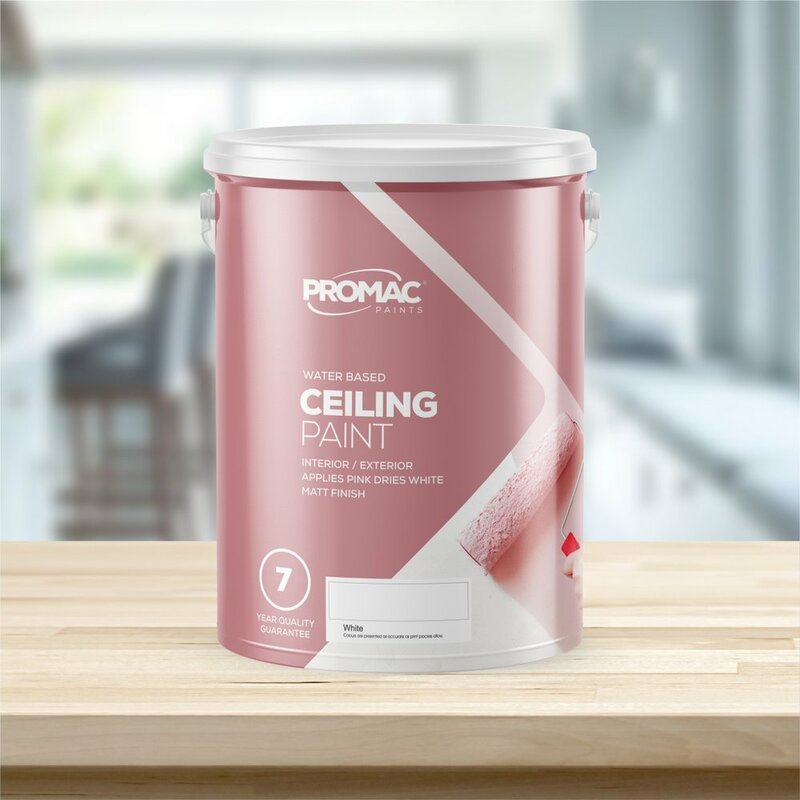 Promac Ceiling Paint is a water based, high quality pigmented matt finish for ceilings. It has a pink appearance in its wet state before finally drying as white, cleverly solving the visibility problem posed by hard to reach or see areas such as ceilings. Now it’s easy to see where you’ve missed a spot! Promac Paints offers a full range of products enabling you to achieve the finest finish and long-lasting results. From choosing the right paint colours to finding the right products for prepping your surfaces, Promac Paints has got you covered. Find a Promac stockist near you today. It’s time to blow off the wintertime blues and welcome the arrival of spring with a tribute to sunshine. Spring is a time of new beginnings and homeowners usually ensue with feverish spring cleaning. But spring cleaning isn’t just about decluttering; it’s also a great opportunity for homeowners to re-evaluate the look and feel of their surroundings. This season, why not go beyond the usual and give your home a refreshing makeover? You can now find your perfect colour with Promac Paints’ #ColourSense colour selection tool. Perhaps your roof and exterior walls need a facelift to match your garden’s new blooms? Now is the perfect time for your home to shed its wintery flakiness and step into the cheerful world of spring, by renewing your curb appeal with a fresh coat of paint. When painting exteriors, the most durable and protective finish is achieved in weather that isn’t too hot or too cold, which is why springtime is the best time of the year for exterior house painting.